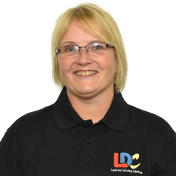 Hi I'm Hazel, I am a fully qualified Government Approved Driving Instructor (ADI) and I am passionate about road safety. I am married with 3 amazing kids and spend most of my spare time with my family. Before becoming a driving instructor I worked for a construction company for 22 years in various sales roles both customer facing and over the telephone. I have always enjoyed working with people. I decided to make a change and become a driving instructor as it is something I have always wanted to do.